The total area of the islets is about 187,450 square meters, with their highest point at 169 meters in the western islet. The western islet is about 88,640 square meters in area; the eastern islet about 73,300 square meters. 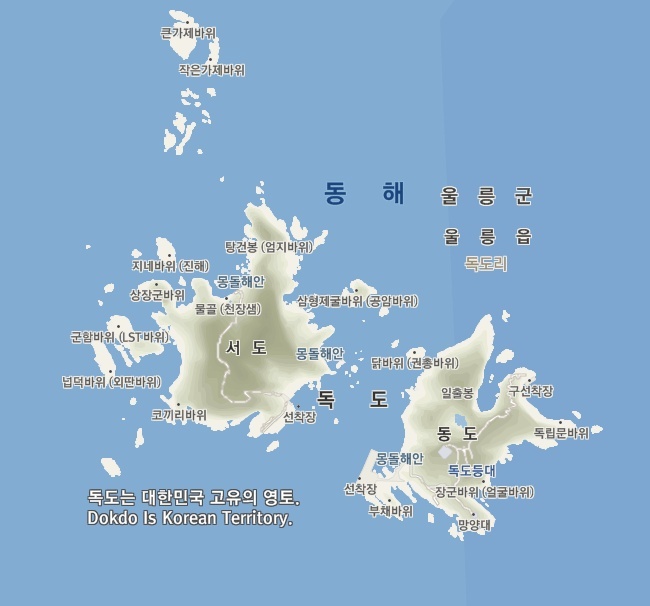 Dokdo Island is composed mainly of two islets, 150 meters apart (Seodo and Dongdo in Korean, Nishi-jima and Higashi-jima in Japanese) both literally meaning western island and eastern island respectively). The western islet is the larger of the two islets. Altogether, there are about 90 islets and reefs, volcanic rocks formed in the Cenozoic era. Incredible Time Lapse Video of Dokdo! 독도, A Time-lapse journey through DOKDO, KOREA from kwon, o chul on Vimeo. South Korea claims it as Korean territory from records that date back to the sixth century during the Unified Shilla period and on the 1900 Korean Empire ordinance officially incorporating three islands into modern Ulleung County. ( Korea’s 1900 Incorporation of Dokdo Island ) Japanese claims come from seventeenth century records ( Dokdo – Takeshima and Japan’s Historical Territorial Limits ), as well as a “terra nullius” incorporation in 1905. ( Japan’s Military Annexation of Takeshima (Dokdo) in 1905 ) Today, South Korea classifies the islets as a part of Ulleung County, North Gyeongsan Province, while Japan classifies them as part of Okinoshima, in Oki District, Shimane Prefecture. There is regular ferry service from Ulleungdo. There were 1,507 and 1,597 recorded tourists in 2003 and 2004 respectively. Due to their status as a nature reserve, special permits are required for tourists seeking to land on the islets rather than just circling them. In 2005, only 41,000 traveled to the islets with the number exceeding 100,000 in 2007. 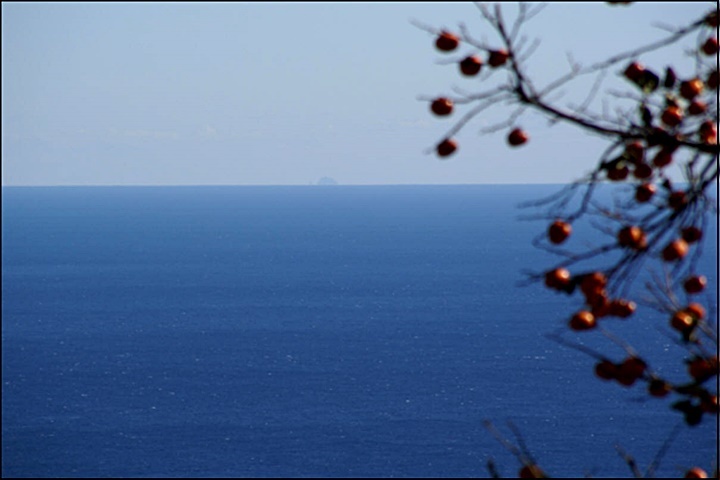 That year, the maximum of daily visitors to the islets was raised to 1,800, drawing more tourists to the area. 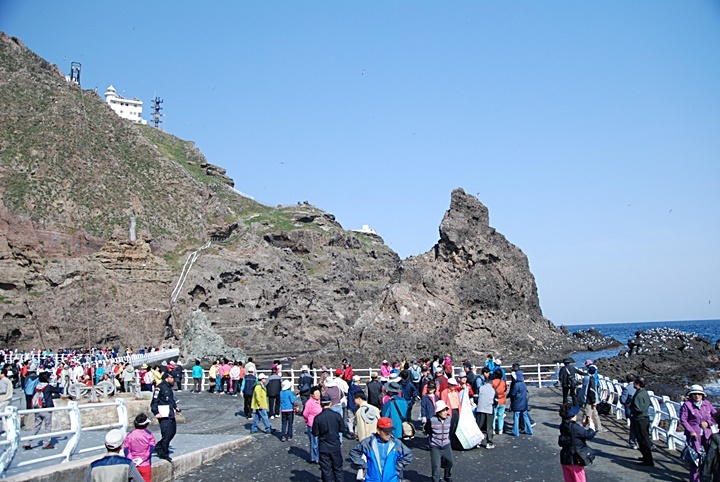 As a result, Dokdo’s number of tourists has risen dramatically. 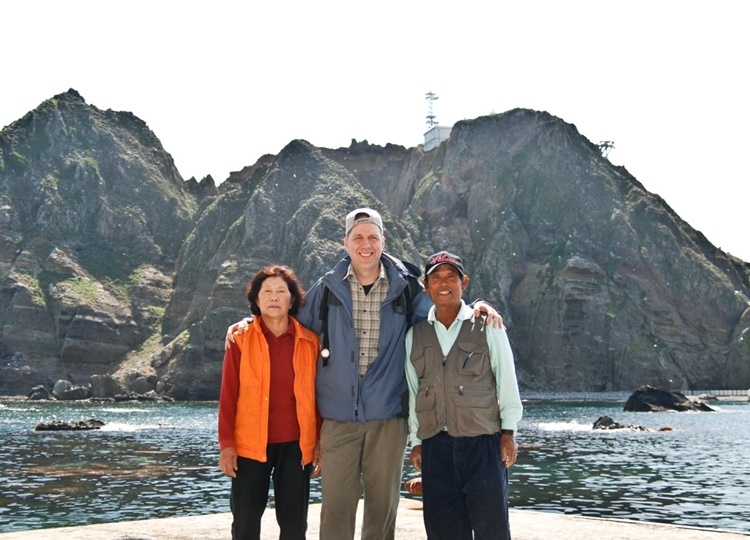 To the right, an image of Korean vacationers on Dokdo’s East Island with the watchtower and lighthouse in the background. According to Ulleung Island and the Dokdo Administration Office Sunday, 132,558 visitors came to Dokdo last year. The figure includes those who entered the islet or circled around it. The number is an increase of some 4,000 people from the previous year’s 128,000. May had the largest number of visitors at 25,626 due to the clear weather, followed by 23,212 in August. Some 106,000 actually set foot on the island, while the other 26,000 simply circled around the islets due to the harsh weather. Other than on passenger ships, 2,714 people visited the islets in helicopters, or on naval vessels and administrative ships. Over 900 Korean citizens list the islets as their residence, while over 2,000 Japanese do the same. Only two people are permanent residents. The Korean government subsidizes their living there in order to justify a claim of habitation. Korean telecom service providers (namely SK Telecom, KTF, and LG Telecom) have also installed stations on Dokdo Island to cover the islets in the South Korean wireless telephone network. Although the islets themselves are barely habitable, the Exclusive Economic Zone surrounding them has rich fishing grounds and possible reserves of natural gas. As of 2006, the expected reserves have not been found. 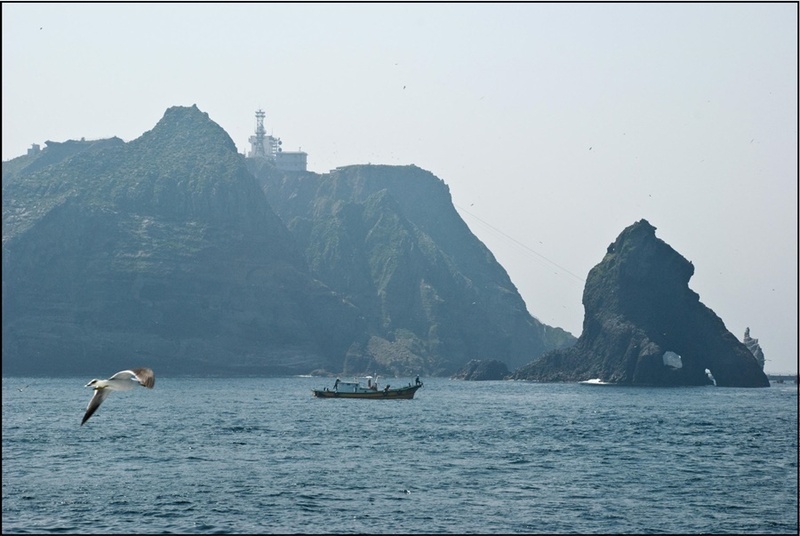 A wide variety of fish as well as seaweed, kelp, sea slugs, and clams are located around Dokdo Island. Major fishery catches in the area are squid, Alaskan pollock, codfish, and octopus. There are 102 species of seaweed, although many of these have no economic value. This area used to be one of the largest breeding grounds of sea lions and a good spot for hunting them and also a spot for obtaining abalone at the end of the Meiji Era (1868-1912). Until the 1950s, sea lions were observed on Dokdo Island by the voluntary guards. 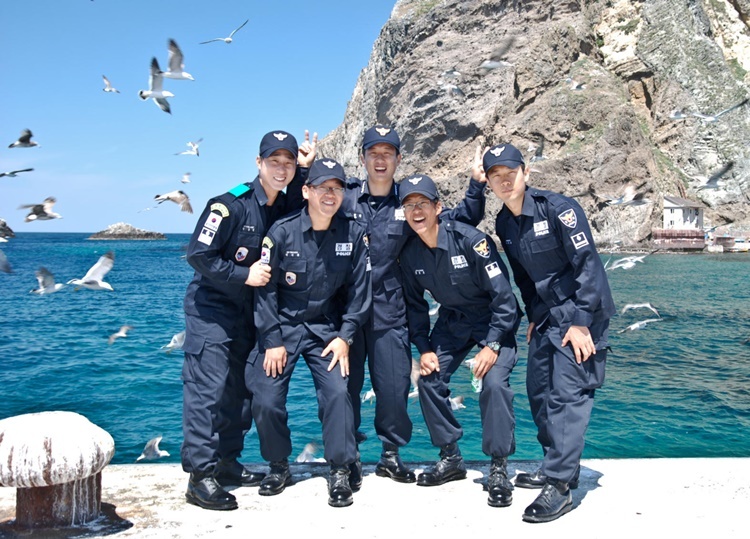 There are approximately 37 South Korean police that guard the islets, also there are Ministry of Maritime Affairs &Fisheries personnel, and three lighthouse keepers living on the islets in rotation. In the past, several fishermen also lived there temporarily. In 2005, the first recorded wedding ceremony was held on Dokdo Island. The South Korean couple chose the location to protest against Japanese territorial claims. 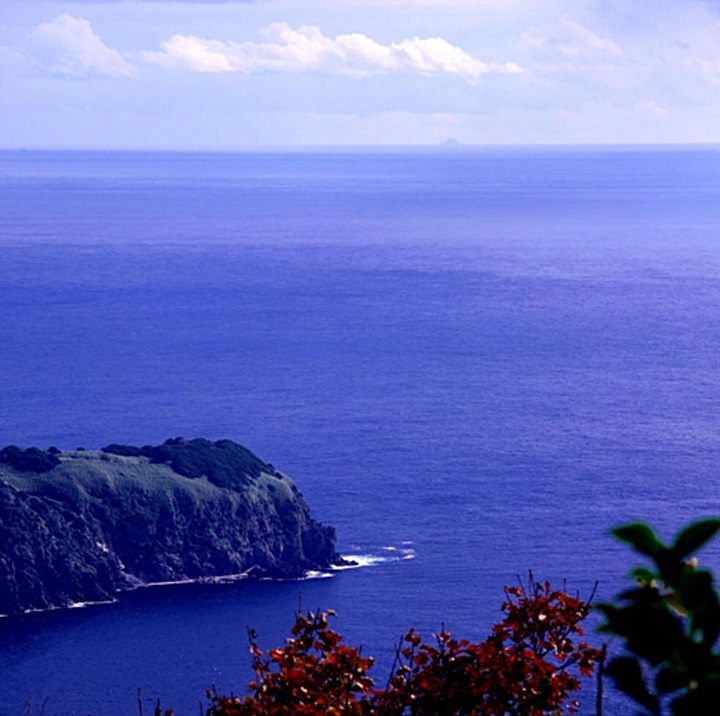 Due to its location and extremely small size, Dokdo Island sometimes has harsh weather. At times, ships are unable to dock because of strong northwestern winds in winter. The climate is warm and humid, and heavily influenced by warm sea currents. Precipitation is high throughout the year (annual average – 1324 mm), with occasional snowfall. Fog is a common sight. In the summer, southernly winds dominate. The water around the islets is about 10 degrees Celsius in spring, when the water is coolest. It warms to about 25 degrees Celsius in August. Korea and Japan have a long, complex history of cultural exchange, war, and political rivalry. The islets are the last disputed territory between Korea and Japan following World War II. Although Japan’s MOFA insists Allied Command granted Dokdo to Japan after the Second World War, there was no mention of Dokdo in the Japan Peace Treaty, leaving the issue unsettled. 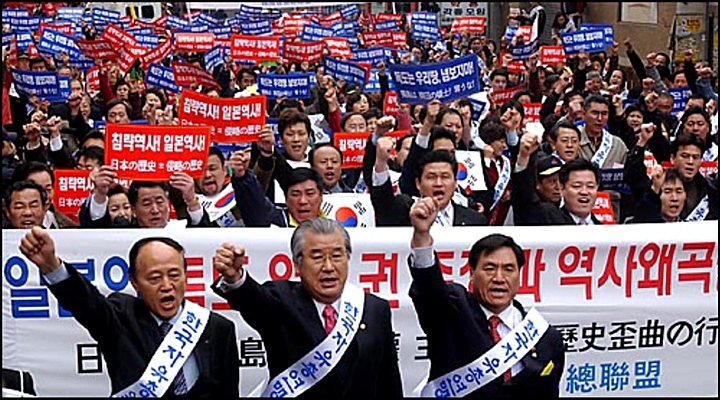 Because of the apparent inseparability of Japan’s 1905 “terra nullius” annexation of Dokdo and Japan’s colonization of the Korea, Japan’s demands to claim Dokdo cause outrage from Korean citizens. ( Korea’s Political Situation in 1905 When Japan Seized Dokdo – Takeshima Island ) To the right: Korean citizens protest Japan’s claim to Dokdo accusing Japan’s Government of whitewashing her past aggressions and colonial past. At the time of this writing, Dokdo Island remains a point of heated contention, alongside other Japan–Korea disputes. The Japanese Ministry of Foreign Affairs considers its position “inalterable”. When Japan’s Shimane prefecture announced a “Takeshima Day” in 2005, ( Japan’s Legacy of Expansionism Continues ) Koreans reacted with demonstrations and protests throughout the country, extreme examples of which included a mother and son slicing off their own fingers, and a man who self-immolated. In 2006, five Korean “Dokdo Riders” embarked on a world tour to raise international awareness of the dispute. Another notable protest featured South Koreans decapitating pheasants in front of the Japanese Embassy. 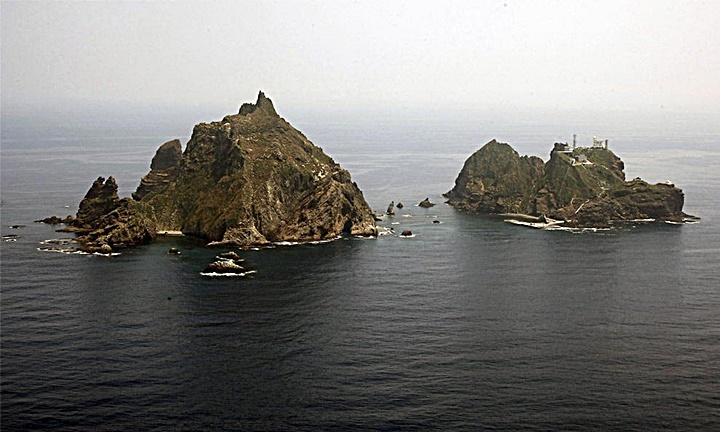 Although claimed by both Korea and Japan, Dokdo Island is currently administered by the Republic of Korea. Both nations’ claims extend back at least several hundred years. Significant arguments supported by a variety of historical evidence have been presented by both parties, which have been challenged by counter-arguments with varying degrees of success. North Korea supports South Korea’s claim.